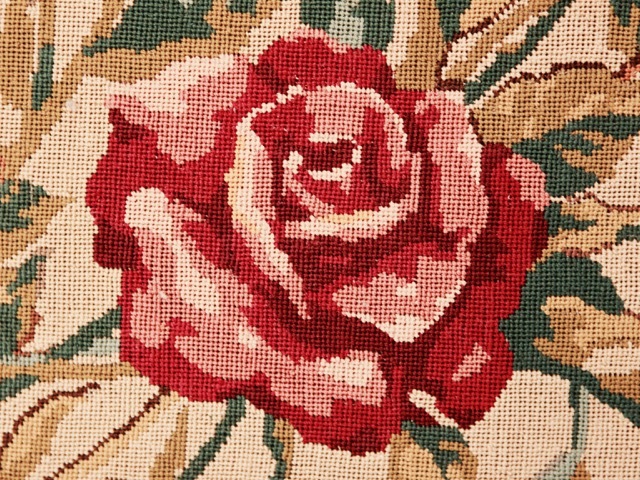 It is the season when the roses are flowering everywhere in the garden, and the opportunity with the rose's theme to share with you the pictures of this wonderful tapestry I have in my lounge, done by my mother-in-law half a century ago. 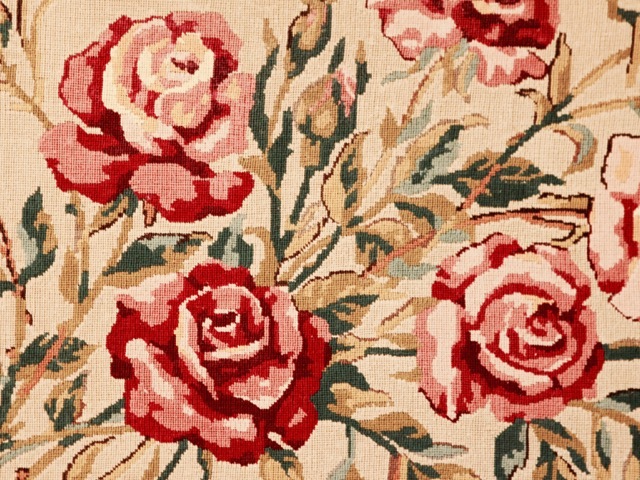 It is such a refined "petit point" tapestry! I never got bored having it in front of my eyes all these years. This is the most beautiful tapestry I have ever seen. 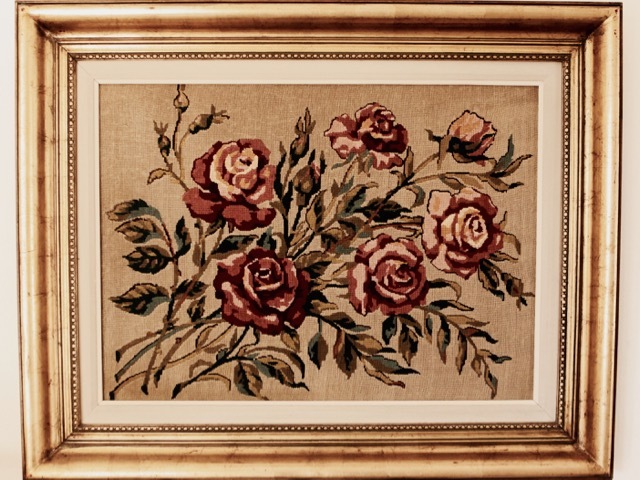 Your mother-in-law has stitched such stunning roses. Your mother-in-law did amazing work and captured the play of light and shadow on her roses perfectly. Lovely photos Christine! I especially love the last rose. It is lovely, no wonder you haven't tired of it. 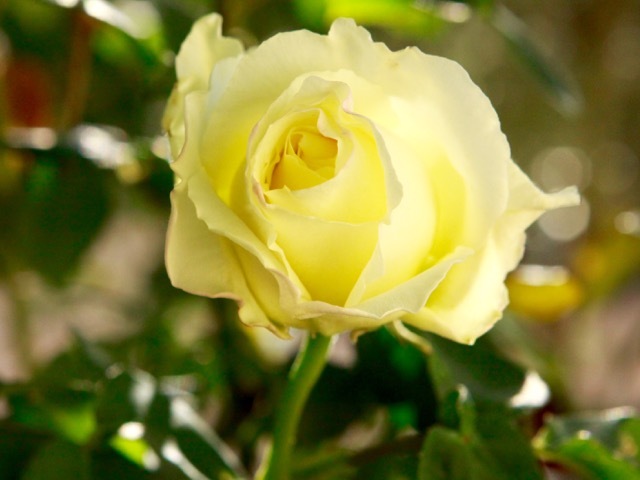 Your roses are beautiful too! That tapestry is gorgeous, what a treasure. The tapestry is a priceless treasure, no wonder you never tire looking at it! 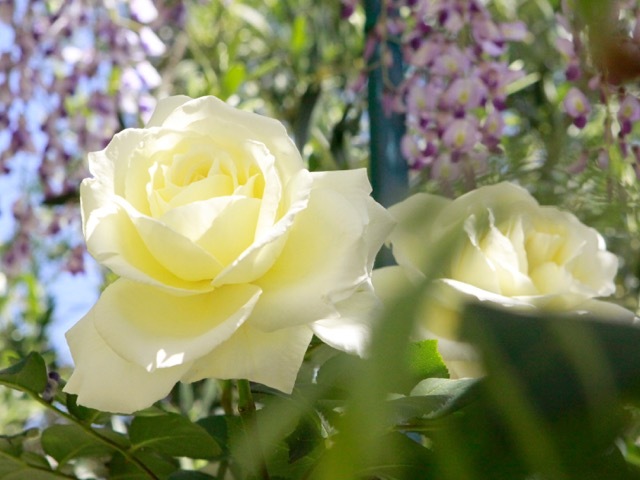 Thank you for sharing and have a wonderful day! Ce canevas est d'une finesse......je comprends que tu ne t'en lasse pas. Roses are my favorite flower. The stitchery is beautiful and is a wonderful gift for you to have and display. 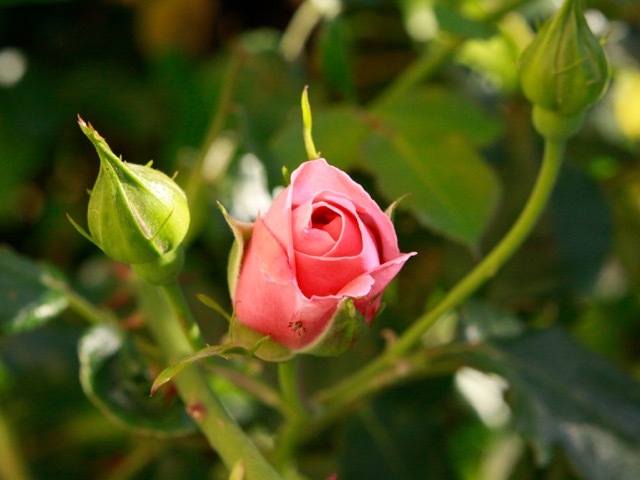 I love all your Roses in the garden as well.